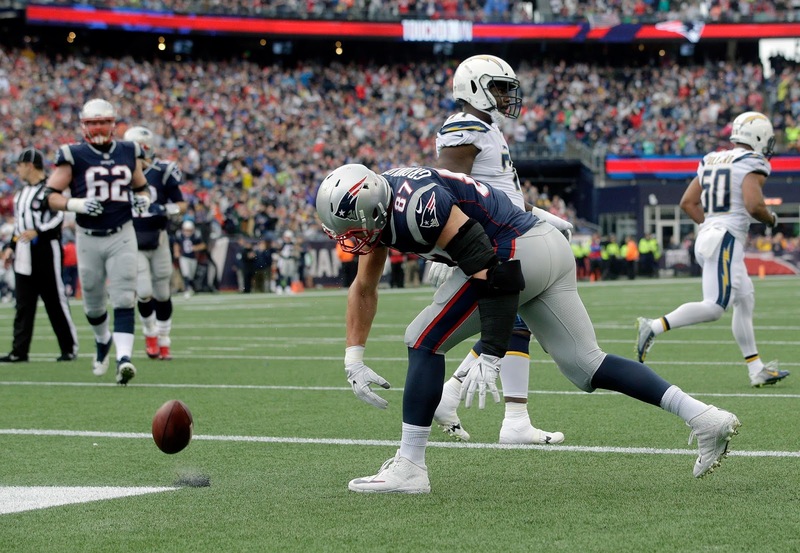 The Patriots survived a surprisingly close game with the Los Angeles Chargers, 21-13 on a game-ending interception by Jonathan Jones. Tom Brady finished with 333 yards and only 1 TD, while James White caught five passes for 85 yards. Philip Rivers recorded 212 yards, 1 touchdown, and 1 interception, and Chargers back Melvin Gordon ended up with 132 rushing yards and a score. The Patriots defense had another strong performance: while Gordon broke free for an 87-yard score early in the game, the D was able to survive Dont'a Hightower's season-ending injury and bottle up the Chargers O for most of the day. Of course, Tom Brady and the offense helped out--with New England controlling the ball for just under 37 minutes, the defense looked fresh throughout the game. However, Pats kicker Stephen Gostkowski continued to scuffle. He went 4 of 6 on field goal attempts, with the pair of misses both coming from 43 yards out. With the Patriots struggling to finish in the red zone all day, the team's inability to salvage points in the kicking game was painfully highlighted. Looking ahead, the Pats will go on bye before traveling to Denver to face the Broncos on Sunday Night Football. Starting right tackle Marcus Cannon and wideout Chris Hogan both left with injuries during the game. There's no word as of yet on their status for New England's next game, but the bye should give them time to rest up beforehand.